The prairie's warmest winter celebration is in just two weeks! Everything for the festival is coming together beautifully and we're just as excited as you are to watch the biggest + brightest SNOWFLAKE come to life! You've done it. 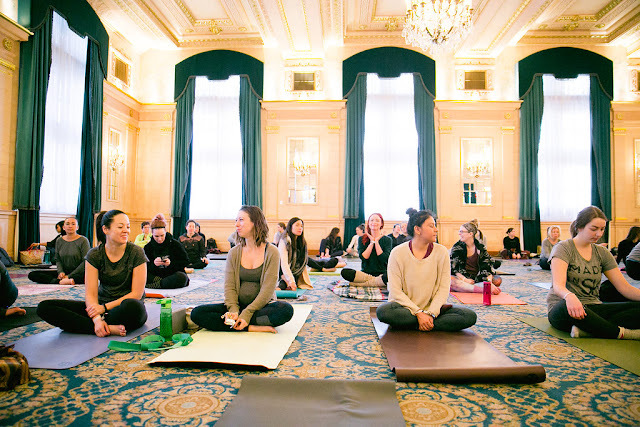 You've created a space in that fresh 2018 calendar to take in a cozy Sunday full of gentle yoga, meditation + creative workshops, rooted in self-care and delivered by some of the most inspiring yogis from across western Canada. We want you to be prepared to take it all in at the Fort Garry hotel, and wouldn't want you to leave the house on January 21st without these SNOWFLAKE necessities in tow. It is a yoga festival after all! If you love props in your practice, bring those along with you too. We want you to be warm and cozy all day. 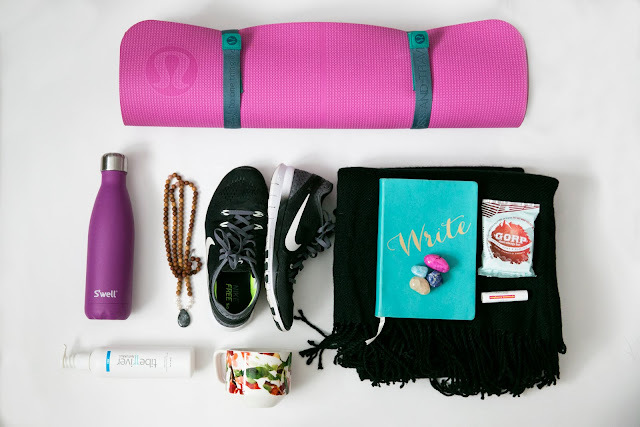 Bring a blanket or scarf as a pre & post practice layer that doubles as a savasana blanket! While big furry boots are a prairie winter essential, they can be quite bulky to wear inside all day. Bring along a pair of comfy, indoor shoes (think slip-ons, flats, or runners.) You can store your boots with your jackets in the complimentary coat check. Because they make savasana sooooooo much cozier. Bring your water bottle with you and refill often. Hydration is key in taking tare of your sweet self. 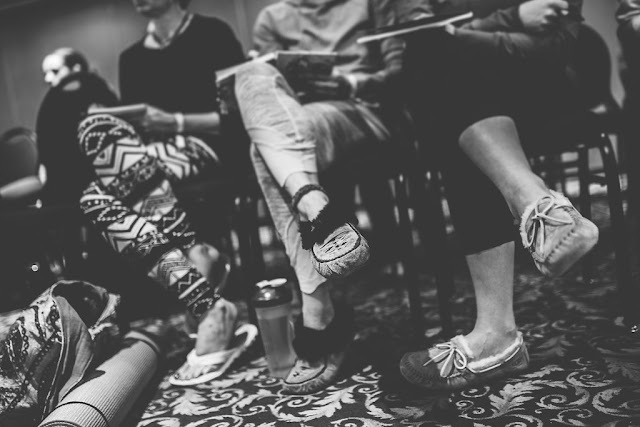 Yes, your all inclusive pass includes lunch & an afternoon snack, but in case you feel like munching between workshops, pack a granola bar and stop hanger before it occurs. Don't forget your change purse! 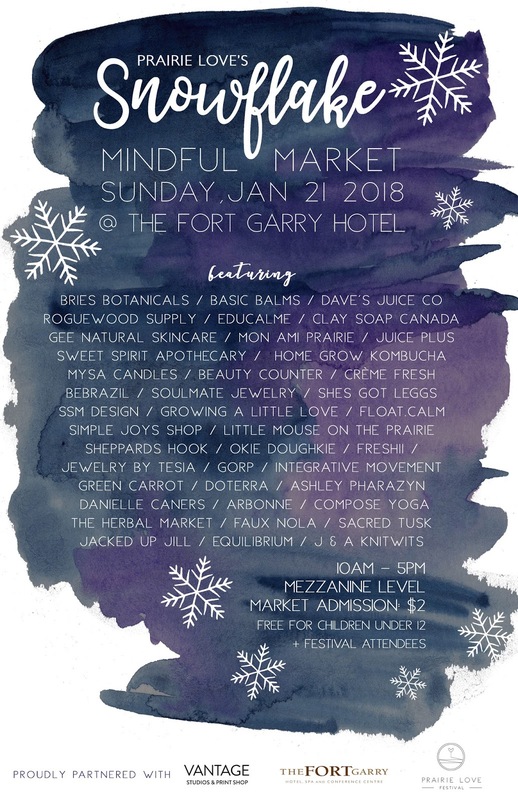 We've got stellar local vendors featured at this years' Mindful Market, located on the Mezzanine level of the hotel. Most vendors accept credit cards as well as cash. This experience is created for you as a transformational tool: to discover, to learn, to delve deep within. Bring your notebook and try to find a quiet moment throughout the day to write your favourite passages, to reflect on your experience, to set a goal or intention, or simply to doodle and play with words. Bring along something that feels sacred in your practice, like stones or your favourite mala. Help us make registration a breeze for all. Come prepared with your Eventbrite ticket printed or online (taking a screenshot of your ticket is a great way not to lose it in your inbox). Please also take a moment to fill out the online Liability Waiver before you arrive. You'll save yourself a few precious minutes in the morning and help us make the registration process seamless.